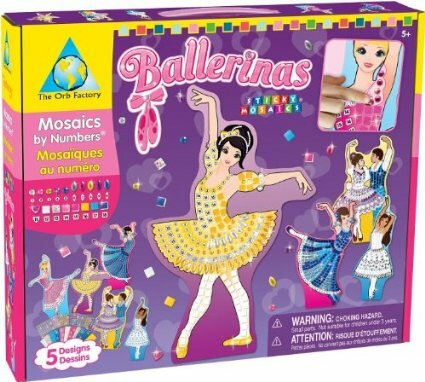 Present ideas for Little Ballerinas. We have little ballerine at our house, and she LOVES everything about ballet from little pictures of ballerinas to ballerina dolls. 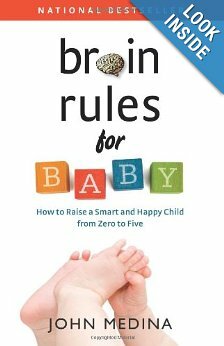 Her favorite books are about ballet, favorite movies are about ballet also, so it’s not hard to decide what she wants to get as a present sometimes. 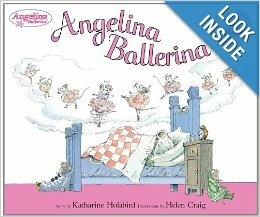 If you have little ballerina in your mind who needs a present, I will share the list of things that will help you to make a good choice. Watching the older girls during her ballet school’s performance of Sleeping Beauty, Tallulah notices one big difference between herself and the best dancers at her school: satin toe shoes. When the Lilac Fairy throws out an old pair of pointe shoes, Tallulah retrieves them and tries them out, with painful results. Tallulah’s initial longing and impatience gives way to sadness and discouragement, but Singer’s graceful text brings the story around to a satisfying conclusion. 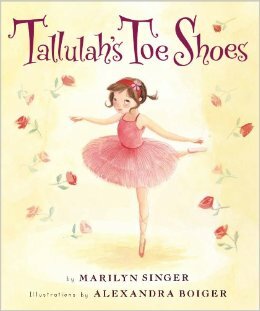 With its glittering jacket, empathetic writing, and expressive watercolor illustrations, this picture book from the Tallulah series will appeal to many young dancers with ballerina dreams. 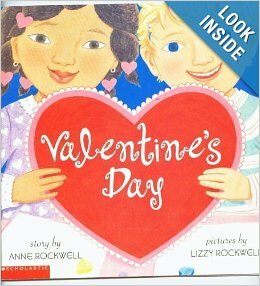 We love this book!!! 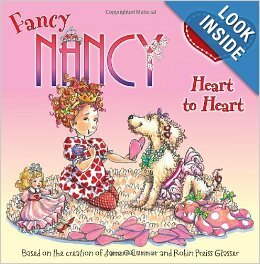 The author also has the other titles in this series: Tallula’s Tutu, Tallula’s Solo, Tallula’s Nutckracker. 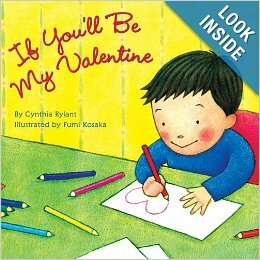 One of Sophia’s favorite book too. 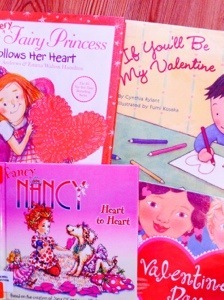 This series also has the other titles: Miss Lina’s Ballerinas and the Wicked Wish, Miss Lina’s Ballerinas and the Prince. t’s been twenty-five years since Angelina danced her way into the hearts of young ballerinas, and she’s still going strong. A true modern classic, Angelina continues to be adored by her legions of fans. 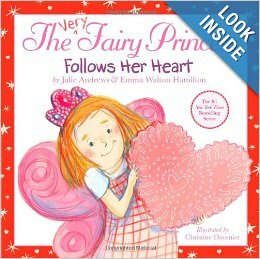 Celebrate her twenty-fifth anniversary with this special edition of the original book that started it all. Featuring a lavish jacket that’s as sparkly as one of Angelina’s costumes, this book is the perfect way to commemorate her anniversary. 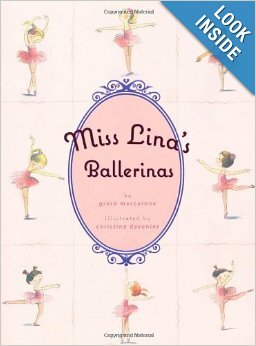 It was probably the first ballet book at our ballet books collection, and our favorite one so far. Lavender Angelina 18″ Cloth Doll presents the star ballerina in a lavender skirt with lavender satin bodice with a colorful “AB” logo emblazoned on the center (guess what “AB” stands for). Lavender satin ribbon with an organza overlay binds both the neckline sleeve and armlets. The skirt features lavender glitter tulle over dark lavender satin, and has a lavender satin ribbon binding on the tulle layer. 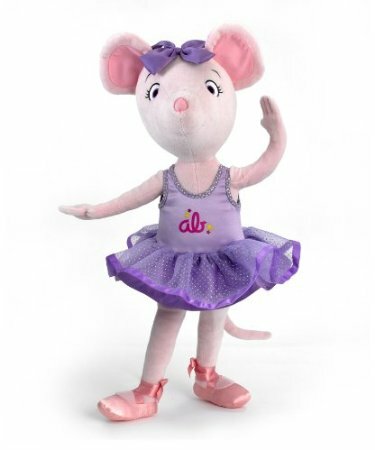 Star of her own TV show and children’s book series by author Katharine Holabird and illustrator Helen Craig, this dancing little mouseling is a favorite of little girls everywhere. Sophia doesn’t really play with the regular dolls, so this one is one of her favorite ones. 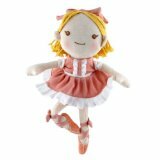 The My Natural Ballerina is an earth friendly rag doll made from natural cotton and recycled fiber filling. Her pink dress, hair bow and toe shoes are sure to please dancers of all ages. This was Sophia’s first ballerina doll. She got it, when she was a baby, so it stays in her bed from that time. The magnetic version of Paper Dolls. From warm-ups to costumes, tutus to tiaras, you will find everything you need to take these two magnetic ballerinas from the studio to the spotlight. Enjoy four background scenes and three pages of magnetic costumes and accessories. We love this magnet set,especially when we go out, because we can easily pack it with us and let Sophia play with it, while we have dinner. Follow a simple numbered legend and add over 2000 sparkling jewels and tiles. Includes 5 sparkling projects. Not for children under 3. Sophia can’t do it by herself, so I usually help her, but this mosaic is a lot of fun. 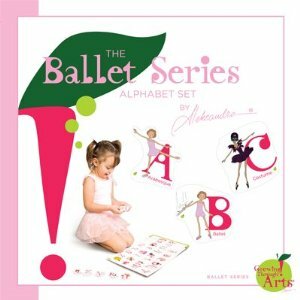 This charming puzzle features all of the letters in the alphabet – each illustrated to depict a ballet term that is referenced in the storybooks. Each letter is bendable and can stick to any surface without leaving a residue.